The Medal for Long Service, Bronze was instituted by the President of the Republic of Ciskei in 1988, for award to all ranks for ten years faithful service. 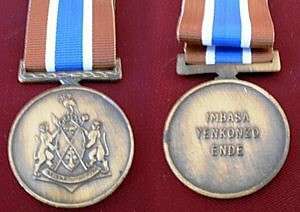 The Medal for Long Service, Bronze was instituted by the President of Ciskei in 1988. 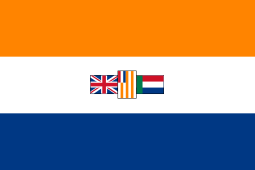 Ciskei's military decorations and medals were modelled on those of the Republic of South Africa and the Medal for Long Service, Bronze is the approximate equivalent of the Good Service Medal, Bronze. The medal could be awarded to all ranks for ten years of faithful service. Since the Medal for Long Service, Bronze was authorised for wear by one of the statutory forces which came to be part of the South African National Defence Force on 27 April 1994, it was accorded a position in the official South African order of precedence on that date. The position of the Medal for Long Service, Bronze in the official order of precedence was revised twice after 1994, to accommodate the inclusion or institution of new decorations and medals, first in April 1996 when decorations and medals were belatedly instituted for the two former non-statutory forces, the Azanian People's Liberation Army and Umkhonto we Sizwe, and again upon the institution of a new set of honours on 27 April 2003. Preceded by the Independence Medal. Succeeded by the President's Medal for Shooting. Preceded by the Police Medal for Faithful Service. Succeeded by the Prisons Service Medal for Faithful Service. 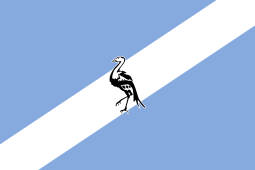 Preceded by the Faithful Service Medal of the Republic of Transkei. Succeeded by the Queen's Medal for Champion Shots in the Military Forces of the United Kingdom. Succeeded by the Prisons Service Medal for Faithful Service of the Republic of Ciskei. 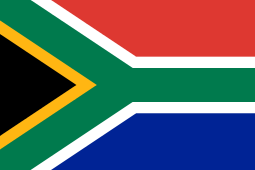 Succeeded by the Bronze Service Medal of the Azanian People's Liberation Army. The position of the Medal for Long Service, Bronze in the official order of precedence remained unchanged upon the institution of a new set of honours on 27 April 2003. The Medal for Long Service, Bronze is a disk struck in bronze, 38 millimetres in diameter and 3 millimetres thick with a raised rim, displaying the Coat of Arms of the Republic of Ciskei. The reverse is plain with a raised rim and the inscription "IMBASA YENKONZO ENDE" in three lines. The ribbon is 32 millimetres wide, with an 8 millimetres wide brown band and a 3 millimetres wide white band, repeated in reverse order and separated by a 10 millimetres wide blue band in the centre. Conferment of the Medal for Long Service, Bronze was discontinued when the Republic of Ciskei ceased to exist on 27 April 1994.